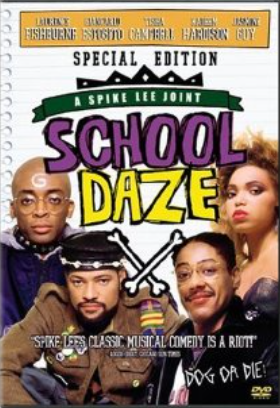 Details: The Source (2.14.14) reports, it’s official, School Daze 2 is coming to the big screen. The 1988 cult-classic will finally be getting a sequel. Twenty-five years ago, the film delved into color and social issues that adults who attended HBCU’s (Historically Black Colleges & Universities) dealt with on a daily basis. It seems like that will remain the plot, as Spike Lee wants this movie to be a contemporary version of the prequel. According to Lee, the script is in fact finished and he hopes that Lawrence Fishburne can agree to a role in the picture. Lee also unfolded that the film will shed light on social issues that today’s HBCU students face like homophobia and the pledging process. Story: No official synopsis yet, but the original was set at a historically black university where fraternity and sorority members clash with other students in a politically charged musical. Source(s): The Source; Allmovie. This entry was posted in Rumoured or Announced Projects and tagged School Daze, Sequel, Spike Lee by blackcinemaconnection. Bookmark the permalink.